On Friday, December 11 at 7:00 pm, The Writers Studio will be hosting a celebration of The Pushcart Press and the 2010 Pushcart Prize XXXIV, Best of the Small Presses at Le Poisson Rouge in NYC (158 Bleeker St. at Thompson). Readings by Mark Doty, Marie Howe, Dale Peck, and One Story author Kate Walbert (issue #71, “Good Luck”) will be introduced by Pushcart editor and founder Bill Henderson and Philip Shultz, winner of the 2008 Pulitzer Prize in Poetry. A book signing will follow the reading. Doors open at 6:30 pm; admission is $5. Click here for more details about the authors and event. The Sunday Times in London announces the largest annual prize for a short story in the world: The Sunday Times EFG Private Bank Short Story Award. Authors must have been previously published in the United Kingdom or Ireland. The winner will receive £25,000, and there are prizes of £500 for each of the five runners up. Writers published in the UK or Ireland must submit seven copies of one short story with a maximum length of 7,000 words. Manuscripts must be typed and double-spaced; the word count should be detailed on the entry. A list of most recently published work including the publisher, date of publication, and the ISBN or ISSN must be included. The deadline for The Sunday Times EFG Private Bank Short Story Award is November 30, 2009. The winner will be announced at a special event at the Sunday Times Oxford Literary Festival in March 2010. Click here to enter, and good luck! Seven One Story issues mentioned in the new Pushcart anthology! Congratulations to One Story author Laura van den Berg for the publication of “What the World Will Look Like When All the Water Leaves Us” (issue 102) in the Pushcart Prize XXXIV: Best of the Small Presses. Congratulations are also in order for the many other One Story authors who received a Special Mention for Fiction: Katherine Karlin for “Muscle Memory” (issue 103); Robin Black for “Harriet Elliot” (issue 104); Jean Thompson for “Wilderness” (issue 105); Ramona Ausubel for “Safe Passage” (issue 106); Thomas Grattan for “Foreign Girls” (issue 108); and Andrea Barrett for “Archangel” (issues 114 and 115). One Story is proud to have contributed to this 34th edition of the Pushcart, and we hope you enjoy all the great fiction. One Story and The Center for Fiction (47th St. between 5th Ave. and Madison) are hosting the second part of “Craftwork: Lectures on Writing” at 7pm on Thursday, November 19. Writer A.M. Homes will discuss the importance of revision in short stories and fiction and talk about the process in her own work. Homes is the author of the short story collections The Safety of Objects and Things You Should Know, as well as several novels and a memoir. She is a contributing editor to Vanity Fair, Bomb, and Blind Spot. Admission is $5 for One Story subscribers and members of the Center; $7.50 for nonmembers. 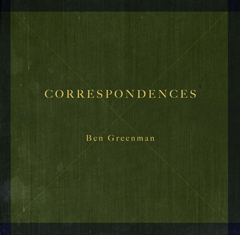 Ben Greenman (issue #113, “The Tremulant”) is an editor at the New Yorker and author of several books of fiction including Please Step Back, a novel about the 1960s soul/funk scene, and Correspondences, a collection of seven stories on letter-writing published by Hotel St. George Press as a limited edition, but available in paperback in 2010. Terese Svoboda is a poet, essayist, novelist, and upcoming One Story author. Her story collection, Trailer Girl, has been described by Vanity Fair as “enthralling” and The New York Times Book Review as “a book of genuine grace and beauty.” Her short story “Bomb Jockey” will be a forthcoming issue of One Story. We look forward to seeing you at this discussion of “the sparkling promise and enduring resilience” of the short story form. In the neighborhood? Come visit One Story at the Boston Book Festival in Copley Square between 10am and 6pm on Saturday, October 24! We’ll have back issues, bookshelf boxes and Boston-themed 5 packs (5 issues by Boston authors for $5!) for sale. 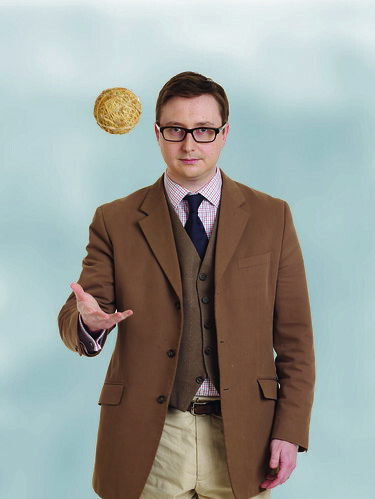 John Hodgman, author of One Story’s first issue, will be interviewed by novelist Tom Perrotta at 12:30 at Old South Church Sanctuary. Click here for a complete schedule of events. Admission is free, and we’ll be there rain or shine. Please stop by and say hello! Celebrate the freedom to read during Banned Books Week 2009 (September 26 – October 3) by picking up the most scandalous fiction imaginable: an illustrated story about gay penguins perhaps? One of the Harry Potter or Twilight series maybe? Or why not rediscover Holden Caulfield’s angst? Each year there are hundreds of complaints from parents and patrons about the impropriety of school reading lists and books available in public libraries. According to some, sexuality, religious sentiment, violence, racism, et cetera warrant censorship. Fortunately, few books have actually been removed, but the challenges are numerous in all genres: children’s, young adult, comtemporary fiction, classics, even non-fiction guides for frightened prepubescent fifth-graders. Click here for a list of books challeged and banned in the past year. Join NYC writer, editor, and musician Mike Edison tonight, Thursday, October 1 at 7:30 pm for his Second Annual Banned Book Party at Word bookstore in Brooklyn. Joining him will be special guests Richard Nash and Lizzie Skurnick for a discussion on recent obscenity trials, problematic teen lit, and much more. Then play to win in the “Name That Banned Book Contest” with music and readings from challenged and banned classics. Click here to Facebook RSVP. One Story author Kelly Link (issue #59, “The Great Divorce”) made it into the Top 20 countdown of The Best Fiction of the Millenium (So Far) as reported by The Millions! 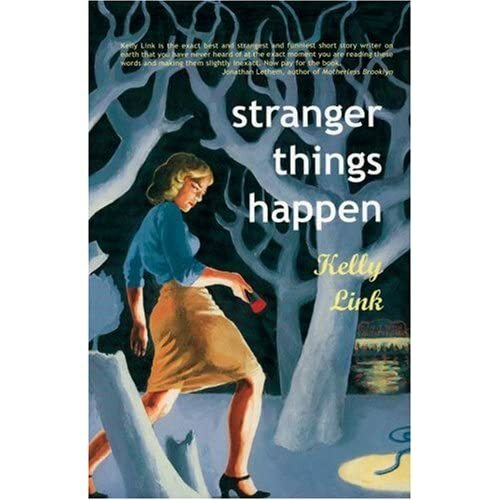 Her 2001 short story collection Stranger Things Happen was voted #18 of the best fiction books published between the years 2000 and 2009. The panel of voters consists of regular contributors to The Millions and 48 selected writers, editors, and critics. So far only slots #20 to #8 have been filled, with a few new books being announced every day until the countdown ends on Friday. Check back at the end of this week for a complete list of The Best Fiction of the Millenium (So Far), perhaps with another One Story author included!